A new smartwatch is aiming to help you capture meaningful moments from your wrist. The Monograph Watch, designed by startup What? Watch, essentially acts as a digital diary, allowing you to record an event at the touch of the crown. When something happens that you don't want to forget, simply press the red button and wait for a pattern to form on the watch face. The device then saves the timestamp through the smartphone companion app, where you'll be able to add more detail to the memory with pictures, videos or text. As the segments of a story build, the design on the watch will change with it. And if you happen to share the story with your friends, they can also contribute. Once tagged, the same watch pattern will appear on their Monograph Watch. So while the watch is offering something relatively unique in terms of features, the design is fairly standard and unobtrusive. The two Classic watches, sporting either a white or black face, both come with a stainless steel case, while the Radar models come with a flat tyre bezel, silicone strap and coloured stainless steel. And for those who don't like wearing something around their wrist, a pocket watch is also available. The collection is currently doing the rounds on Kickstarter in search of a €185,000 goal, with early bird offers beginning at €119 (which translates to roughly $125) — a pretty fair chunk of its estimated retail price of around €230. 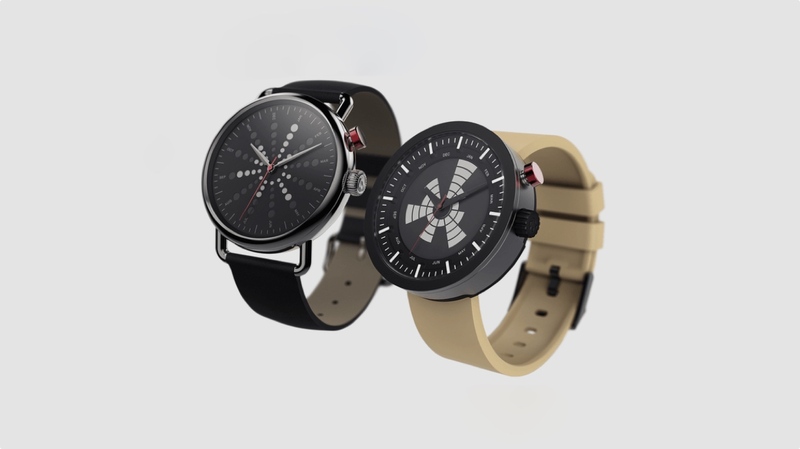 And with an increasing number of smartwatches offering identikit packages to place on your wrist, creating a timepiece that can collect something unique would appear to be an interesting niche in the game.